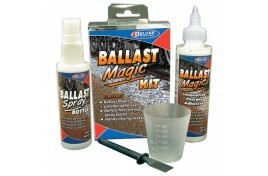 Boxed kit containing Ballast Magic (125ml), ballast fine misting spray bottle and handy mixing accessories. 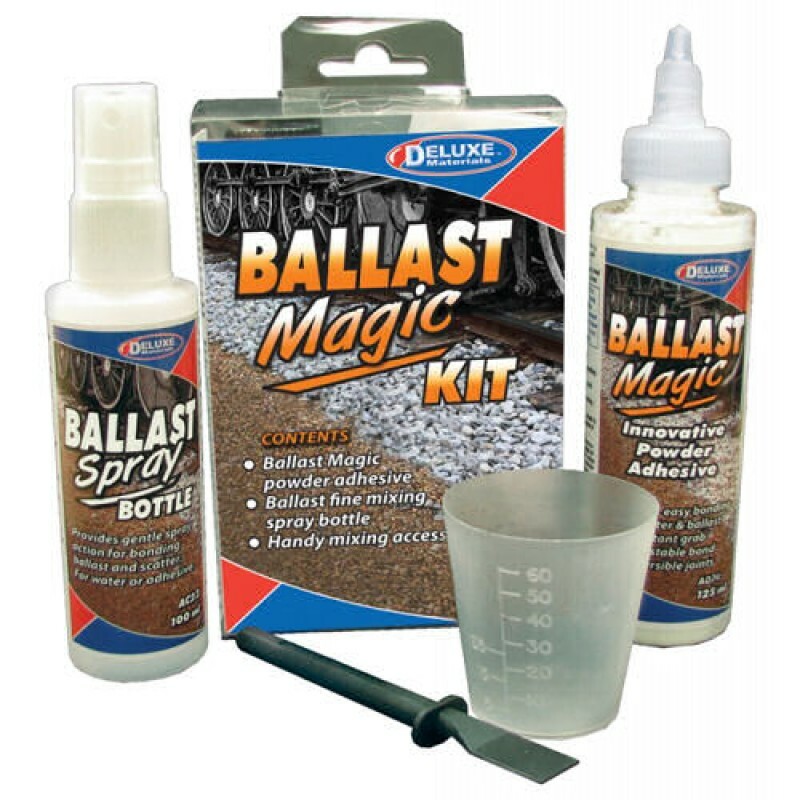 Ballast Magic is a new innovative product for ballasting track. It is a fine dry powder that is very easy to mix with ballast. Once the adhesive and ballast mixture is laid in the track it needs to be misted with water using the Ballast Spray bottle.